Hotel Bella is a new, unique hotel that you wouldn't expect in the capital of Czech Republic. 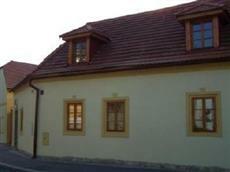 It was established in a historical building a manor. The existence of the manor is documented as early as the 13th century (after it in Gothic-style). At the turn of the 17th and the 18th century, the manor was re-constructed in Baroque style. Since 1958, the building is - as the National Cultural Landmark - registered in the National Registry of Cultural Heritage. During 2004-2007, the complex underwent extensive reconstruction and the results are wonderful. We have opened our hotel on October 2007. Our goal is to offer the best combination of good quality, perfect services and accommodation, useful information - in a pleasant atmosphere.